Sections of faceted red beads trickle asymmetrically down a silver chain, creating colorful accents. 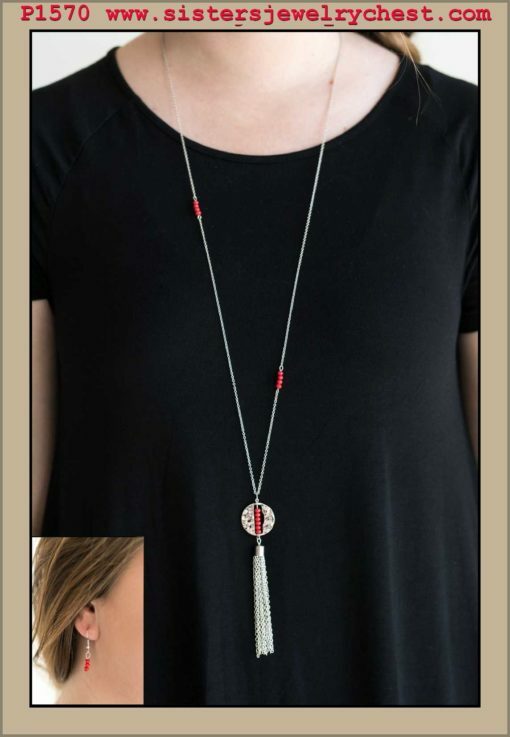 Infused with matching red beads, a hammered silver pendant gives way to a silver tassel for a wanderlust vibe. Features an adjustable clasp closure.